Book Review: “Surprise” by Zaheera Jina. | Between Sisters, SVP! 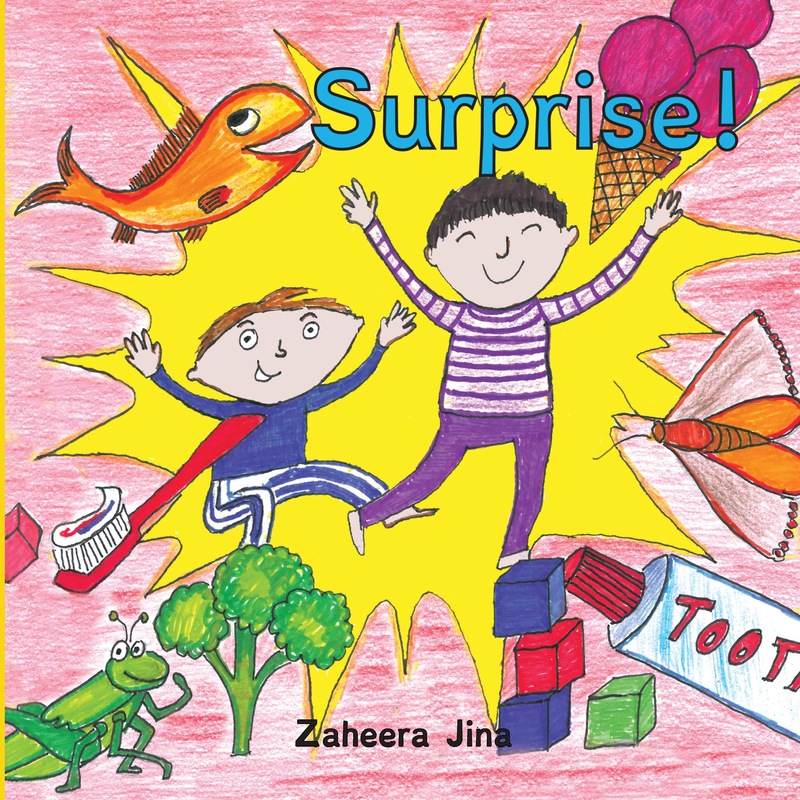 “Surprise” by Zaheera Jina is a feel good book for kids about a Muslim family. The story is about two boys receiving a surprise from their mother. The story is engaging and there is a mystery element till the end of the book. The language is easy to follow and great. 1. I believe that in children’s books, authors should try to send good messages both directly and indirectly to the readers. Because, kids are sponges, and they are always absorbing information. And what they read becomes imbibed in them. A) Healthy eating habit: Broccoli for dinner. B) Brushing teeth at night. That too with a catchy song! Extra points for that. C) Mentioning name of Allah at the time of eating and sleeping. D) Yousuf helping mom with dishes. This entry was posted in Children's Literature, Coloring books, Reviews and tagged Surprise!, Zaheera Jina. Bookmark the permalink.